Parag K. Mital, Refik Anadol, and Refik Anadol Studio together with the LA Philharmonic explore 27 TB of the last 100 years of LA Philharmonic’s performance history. Using numerous generative models trained on both the audio and images in the archive, they explore what it looks and sounds like to journey through this archive. 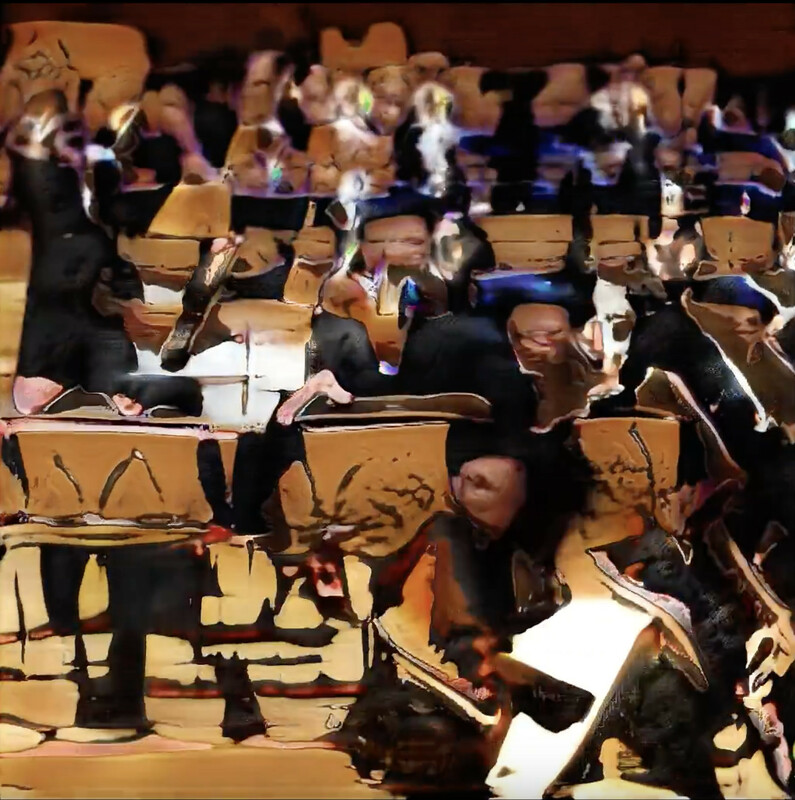 These fragments form a part of a larger performance and exhibition led by Director Refik Anadol, where they will be projected onto the steel skin of Walt Disney Concert Hall to mark the start of the LA Phil’s centennial season in September 2018. Inside, in the Ira Gershwin Gallery, visitors will interact with this digitally processed history. Far from an ordinary timeline, this work will capture the non-linear, interconnected totality of the LA Phil’s history in a way no human mind could.